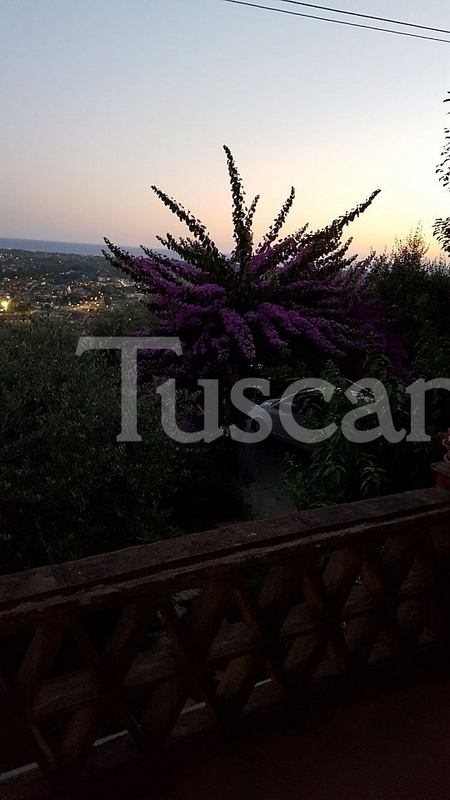 A pretty country house immersed in greenery with a wonderful sea view terrace on which to forget the rest of the world during your stay in Pietrasanta. 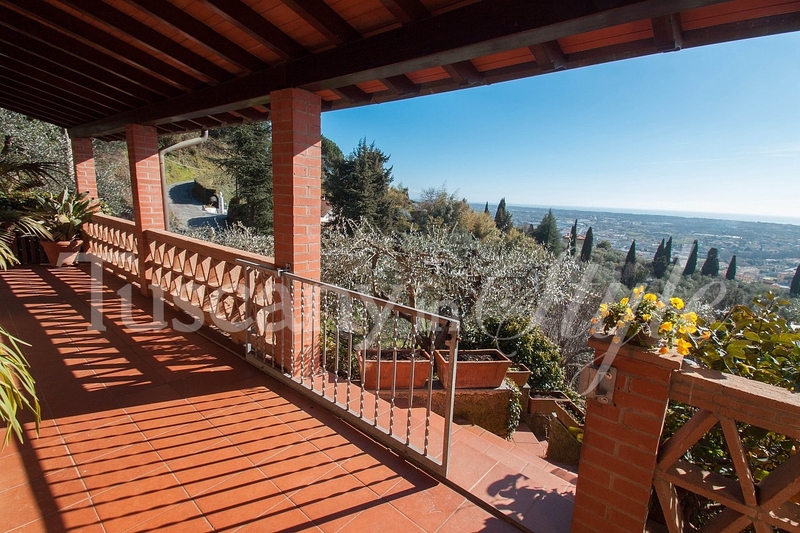 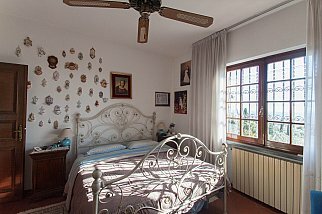 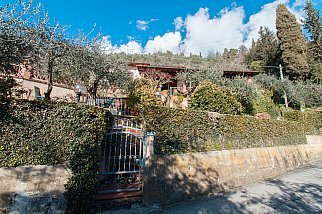 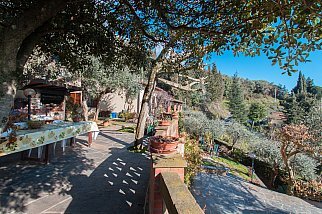 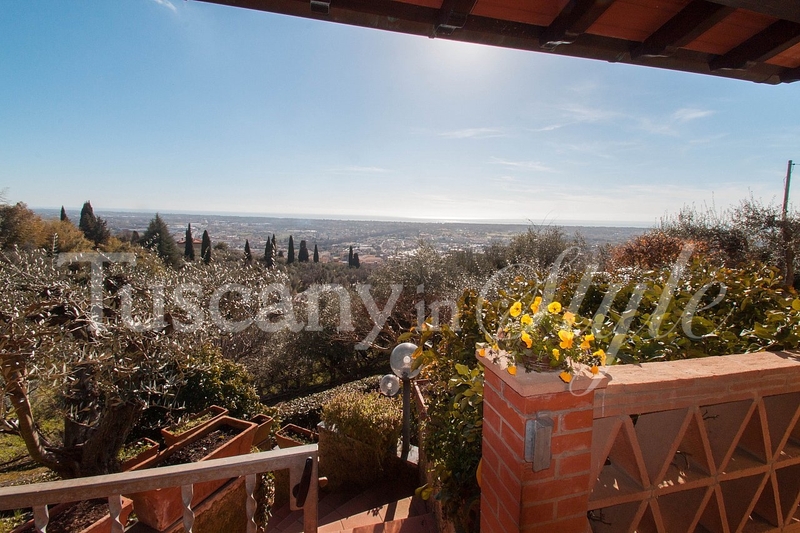 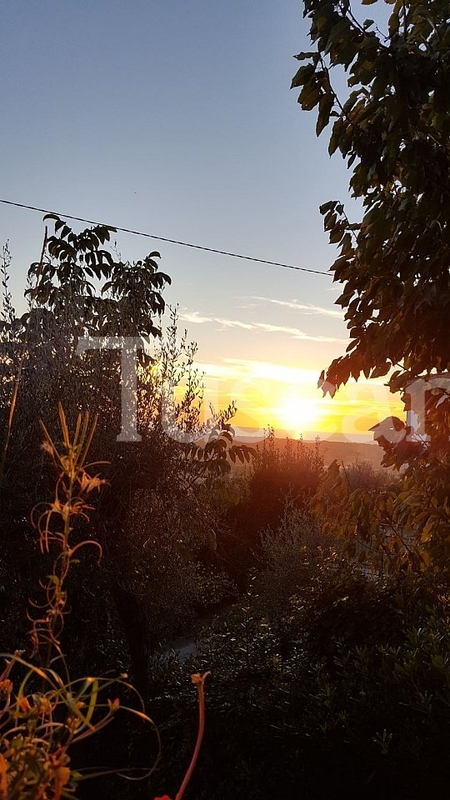 The house is easily accessed and not too far up the foothill behind the historical centre of Pietrasanta so just five minutes drive to all the entertainments on hand in historical centre. 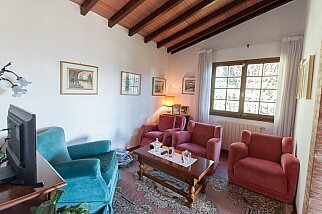 A pretty country house immersed in greenery with a wonderful sea view terrace on which to forget the rest the world during your stay in Pietrasanta. The house is easily accessed and not too far up the foothill behind the historical centre of Pietrasanta so just five minutes drive to all the entertainments on hand in historical centre. 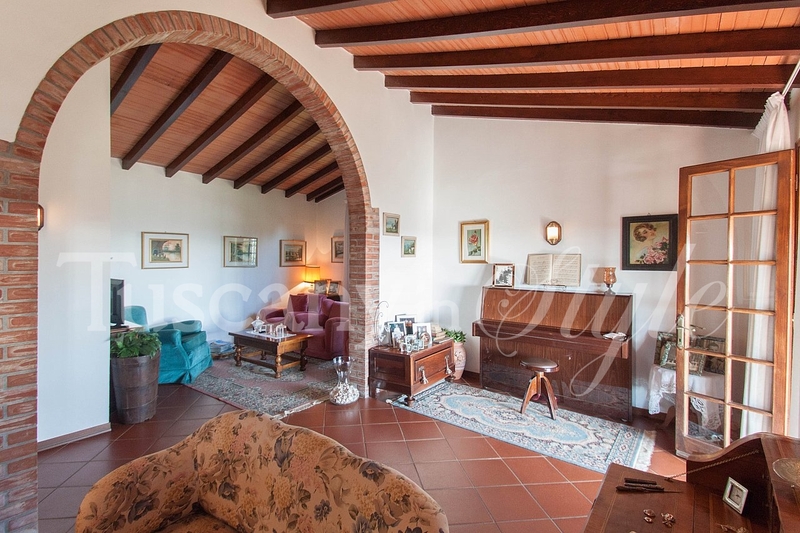 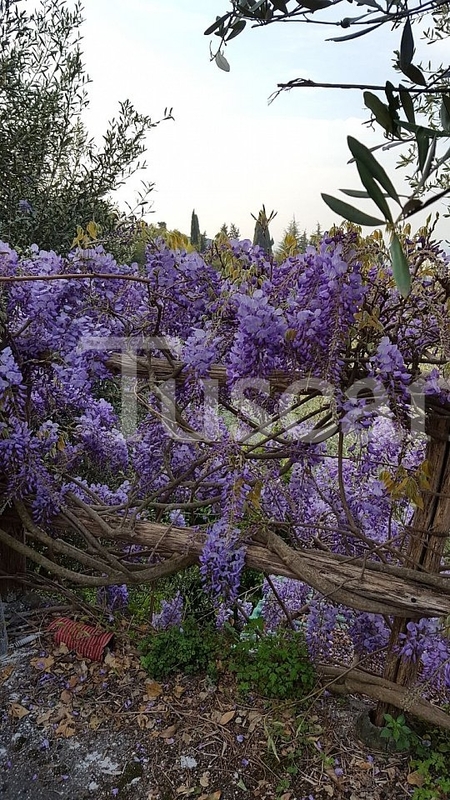 A classic Tuscan home with well maintained classic furniture in harmony with the architecture of this home and a nurtured garden with beautiful plants and bushes in every corner. In front of the house by the olive grove one can leave a car, or alternatively it is possible to drive to the entrance area in front of the property. We enter into a good size kitchen with a dining table from which a corridor leads to a large and comfortable living room with double French windows with an archway that leads to a library area. 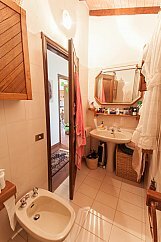 Further down the corridor we find firstly a bathroom with a tub, then a large double bedroom and another bathroom. 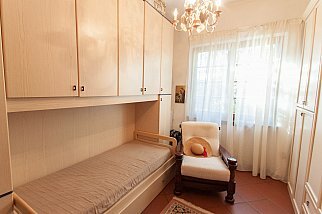 Finally we have a single bedroom composed in a way that an emergency bed may be pulled out from under the single for an additional guest. 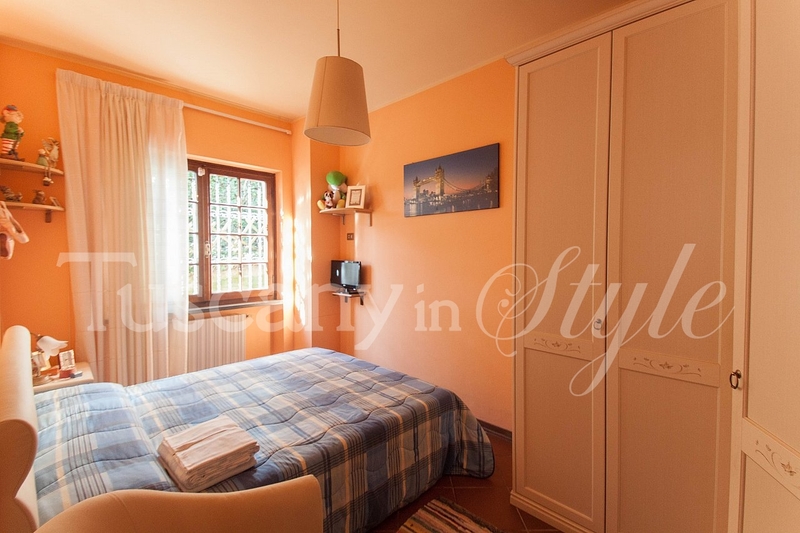 Finally at the end of the corridor we have a double bedroom. 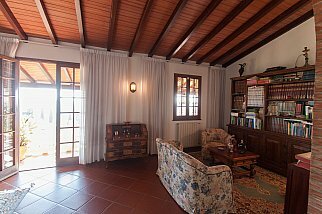 The magic corner of the house is undoubtably the long and wide terrace that looks down onto the Bouganvillea and other colourful vegetation but holds that wonderful coastal view with marvellous sunsets and beautiful dawns. 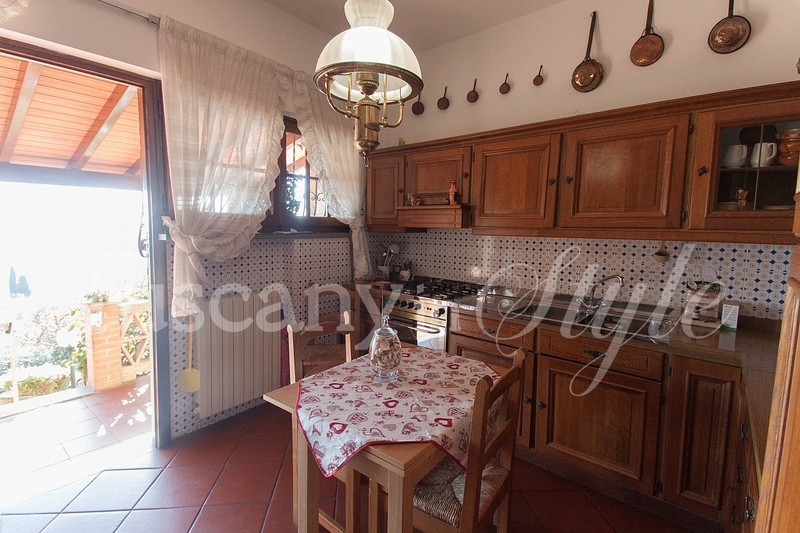 The part of the terrace to the left of the kitchen widens out further and hosts a table with chairs and a wooden charge pizza oven. 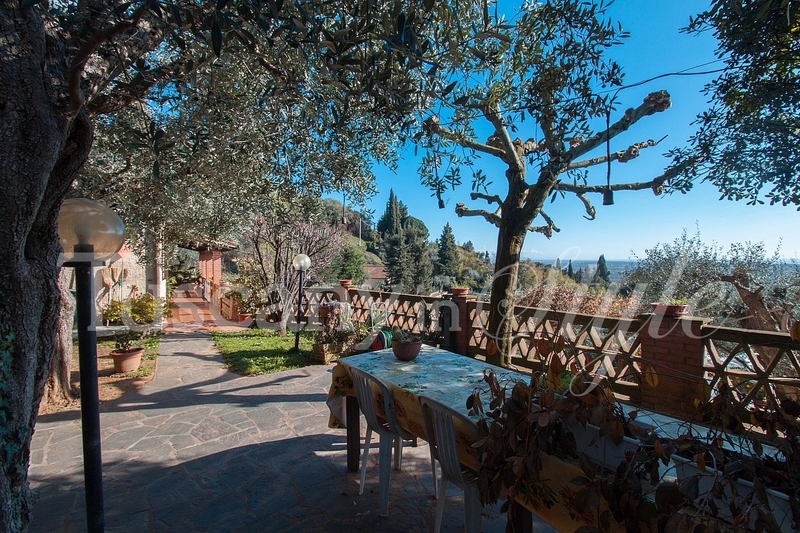 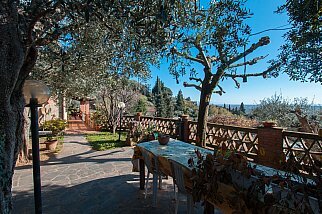 The olive grove below the house is part of the property so a great place for a picnic ! 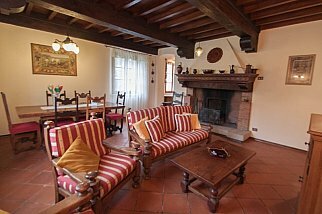 The gentle breezed make this a paradise in the Summer nights, a perfect country abode!